With its simplicity in structure and wide range of features, google has always maintained a good level of respect among its users. I do prefer to use google, as with a single google account you can do lot of interesting things that really would change your life and make you express yourself like never before. In this article, I am giving a brief overview what all we could get once we have a google account in our pocket. 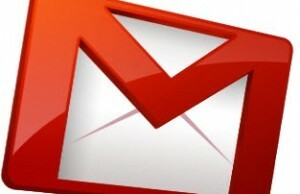 Gmail : Gmail is a free email account that has as said near to unlimited storage capacity. Along with sending and receiving the mails, you can manage your mails by classifying them under different labels (groups), you can search within your mailbox, integrated Gchat (to chat (audio and video) with your contacts) and a very efficient spam handling techniques. the only limitation here in case of a Google account is, if you need to access gmail, you need to create Google account with username as Gmail account i.e. you have to create your Gmail account separately like username@gmail.com and once you have your Gmail account, the best part is, you need not to create a Google account. whatever is your username in username@gmail.com, that is your Google account username also. Google Talk : Google Talk is a very simple but fast Instant Messaging (IM) Service, you can chat (text messages) or have a audio call with your contacts (and friends and family!). There is a small application that needs to be installed to your PC, and you can be reachable to the world whenever you are connected to the internet, as you can enable automatic login to the account here. Google Groups: You can create your own discussion groups and mailing lists (list of the respective contacts) using Google Groups. For example, you are a photoshop guy and you need to create a common discussion forum for all of your known geeks and friends related to photoshop, you just need to create and give a name to the group, and start inviting members from your contacts. In fact you can also join to the existing discussion groups if they are open or you need to request an invitation. You can do lot many interesting things with Google groups that we would discuss in the coming articles. Google Calendar: You can create a schedule of your day/s using Google Calendar. This is a very easy organizing tool that you can also use to share your schedule with your friends, family or office contacts. You can have event reminders directly in your mailbox or on your mobile for the events that you had scheduled on your calendars. You can also access google calendar from your mobile using mobile browser or calendars inside. In fact, it is a very interesting feature of Google Calendars that it also displays public holidays and some important events specific to your state or country depending on the place you have specified while creating your account. Also, you can integrate your calendar with Gmail, so that you can view it from within your mailbox. Orkut: Never to say, if you are not on orkut, you hardly miss your friends! With your Gmail account, you get an entry to the world of your knowns and un-knowns and you can go on orkutting. You can always stay in touch with your friends by posting small scraps and sending messages. You can upload your photos and share it with your friends or everyone. In fact you can create a community and invite people to join it e.g. say old school friends do create their school batch community. The biggest advantage of orkut is that the probability that you find a person/friend you are looking for is near to 100% as almost all of us in this generation, cannot resist to be on orkut. Picasa: You can store, edit and share your photos on Picasa. You can create and edit your photo albums as you have a lot of photo editing options here. You can create a collegiate (many photos combined together with effects into one photo), or you can create a small slideshow of your photos. Youtube: You can upload your own videos or the videos you like on this portal using your google account. In fact you can rate others videos if you have your own account. Now-a-days Youtube has become very attractive publicity media as people have a facility to upload any number of videos for marketing their brands or themselves. Whatever may be your areas of excellence or your choices to share, videos express a lot more than just a text or a voice! Google Docs and Spreadsheets: Now it is not always necessary to have your documents and excel sheets created on Microsoft word and excel. Google Docs is a free platform provided by google, where you can create your own documents, spreadsheets, presentations, forms that accept user inputs and so on and you can either save them in your account or share with your contacts, colleagues and friends. This is a part of Google apps and extremely efficient feature for individuals,students and small offices who wish to have a common platform to create and share all of their documents. Blogger: Have you always felt that you need to express yourself and need a platform online. Now-a-days blogs have become very strong media where people express their views, share their experiences and knowledge and maintain their own write-ups. You can create your own online existence – your blog free with your blogger account. In fact you can create and manage lot many blogs together with a single google account. Blogger is well supported and widely used blogging platform worldwide and with your google account you can enter in this very world of online communities that share and care online. Google Sites: Google sites is a free platform where you can create your own web pages, edit them any number of times, change themes and have them ready on google server. These pages load very fast as they are on google servers. Google offers lot many features like readymade templates, WYSIWYG editor and many more to edit your pages and give them your kind of look. You can grant edit privileges to other users also. In fact you can integrate google documents and forms (like if you want to create a contact form) with these web pages. If you are in need of a small website to have a online presence for your business, rather than choosing any other B2B platform, it is always better to use this free tool with your google account that Google offers to create simple but smarter websites. Now, I think you have got lot many reasons to have a google account, definitely if you don’t have it. Read how to create a Google account here. It is so simple! Next Story → Is It Google Chrome OS?